Milo Vanek was born in Cedar Rapids, Iowa. 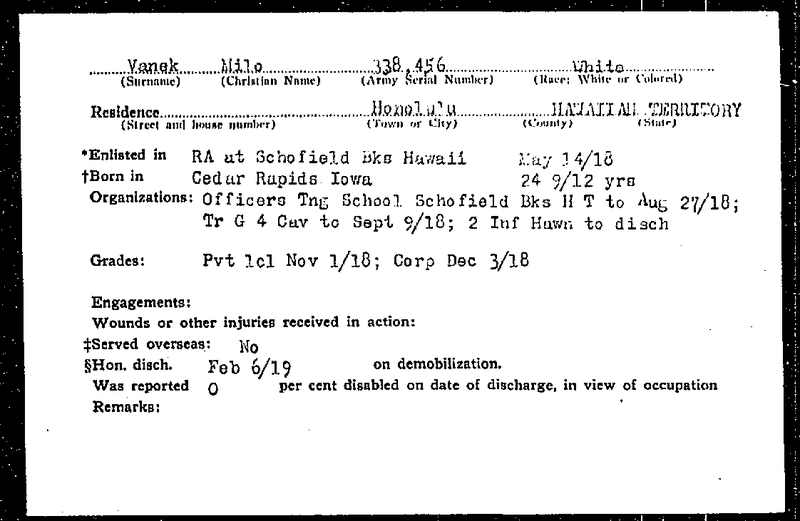 He served in the Army in Hawaii at Schofield Barracks. After the war, he was a member of the Territorial War Memorial Commission.